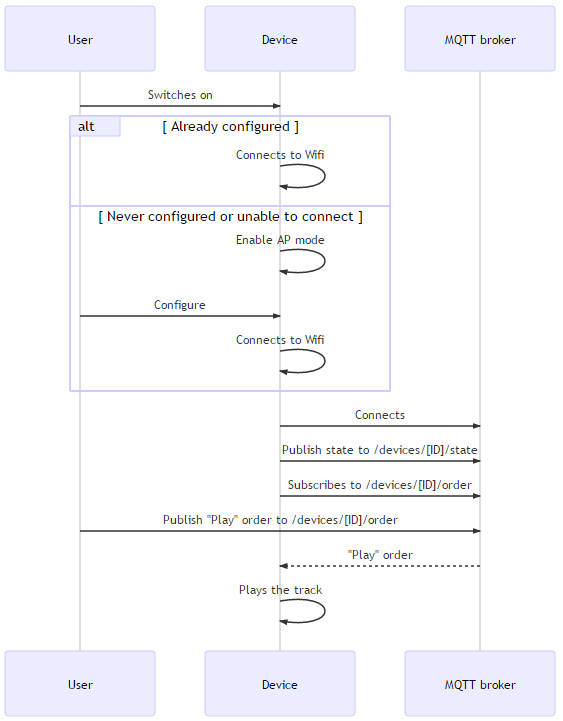 Today, I want to build a simple audio player. The concept is simple. Imagine that my flat will be full of IoT devices. When something important happen (e.g. someone breaking my cellar), and that I am at home, I would like to have a sound played to notify me. As I don't have (yet !) a lot of IoT devices at home, I want to build a prototype for another purpose: inform my brother when a Doctor Who episode is on air ! I hope that this device will be finished for Chrismas, before the "special" episode. This device will play the "VWOOORP" of the Tardis when an episode begins in UK, and maybe I will add a blue LED with dimming the day of the episode. If I have the time / budget, I will make a plastic / wood case reminding the serie. Of course, this device has to be a part of my IoT big picture. The device will be connected to an MQTT broker, waiting for some order to play a sound. The logic of when / why / which sound to play will be left to the cloud software (sometimes named "the controller"). 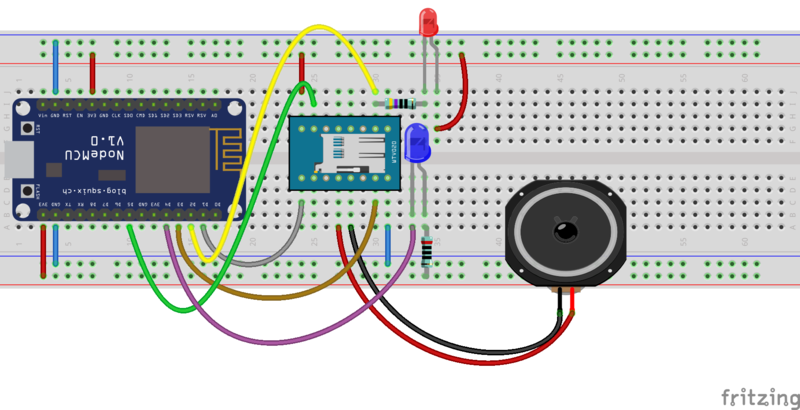 So, in our particular case of the Doctor Who serie reminder, the device should receive some orders (play "Doctor Who" sound, start / stop the LED pulse), and send its state. And in bonus, it could be interesting to add OTA updates as I will not have access to the device once given to my brother. As I said before, I want to use the MQTT broker to [send order to] / [receive state from] the ESP8266. For testing purposes, I used the test mosquitto server. This diagram is a first draft. The retain / non retain value of each message. The ID of the device will be a unique chip identifier. Reminder: This device has to be cheap ! 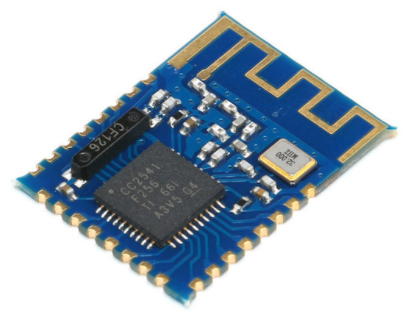 As I want Wifi connectivity, the ESP8266 seems to be the right choice. I have 3 modules in my possession: ESP-01 (this pins, few I/O), ESP-07 (with big antenna) and ESP-12 (antenna on PCB). I will use the ESP-12 to have lots of I/O, and compact PCB. For the development, I will use the NodeMCU dev board. I found the WTV020M01 module (V1.0 / 20120112), which can play sounds directly from a micro-SD card. 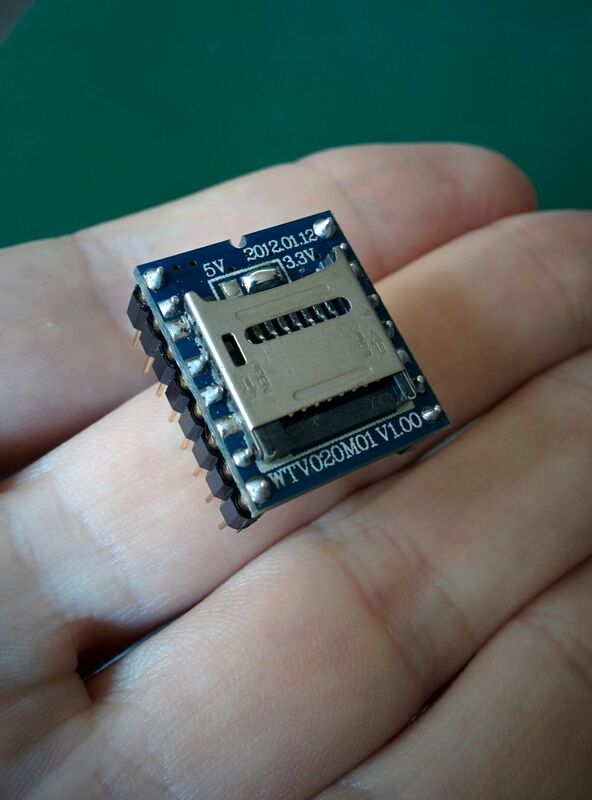 Unfortunately, this module cannot be used to write files on the micro-sd card; it has to be done with a computer. I will not be able to download new files through the internet directly with the connected object. This module can be used to play audio files directly with buttons connected on the I/O, but also controlled from a "data" pin (look in datasheet for "Two line serial mode"). 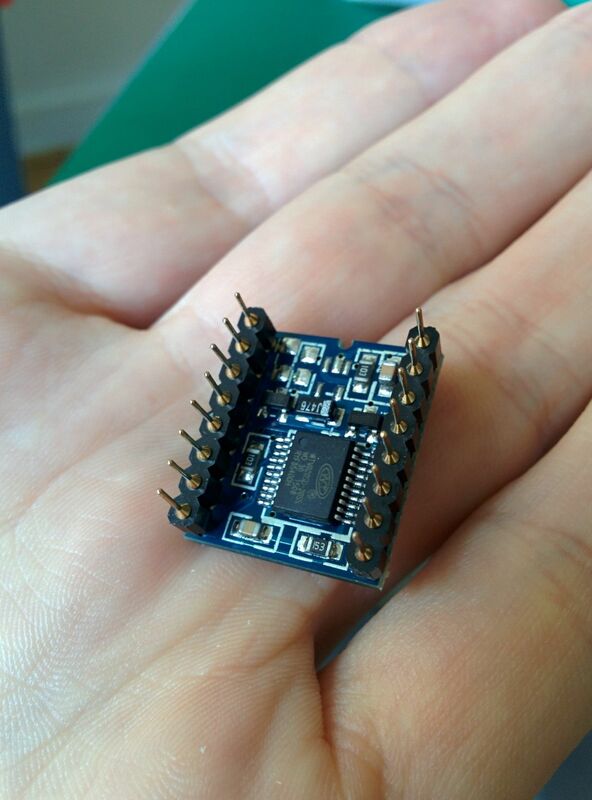 The module I ordered work with 5V or 3.3V depending on a soldering bridge. As I want to manage it with an ESP8266 (witch works on 3.3V), I will use it in the 3.3V mode. This module have two output pins which can be directly connected to a speaker. If the volume output is too low, I will use a low voltage audio amplifier (LM386 ?) with a variable resistor. Important remark: As the module is cheap and old, only non-HC SD micro-cards can be used. Basically, any card below 2GB should be OK.
And even with that, some folks had to add a power supply wire directly on the SD card. Before going further, read the blog post about WTV20 SD card and audio files creation. In the meantime, you can use AD4 sample files. The datasheet indicates that a speaker of 8, 16 or 32 Ohm 0.25W rating can be connected. However, in a response to a post on the 4D systems forum, the 4D Systems technical people made the comment: "Speaker: 8 ohm 1W (Not recommended), 16 ohm 0.5W, 32 ohm 0.25W". 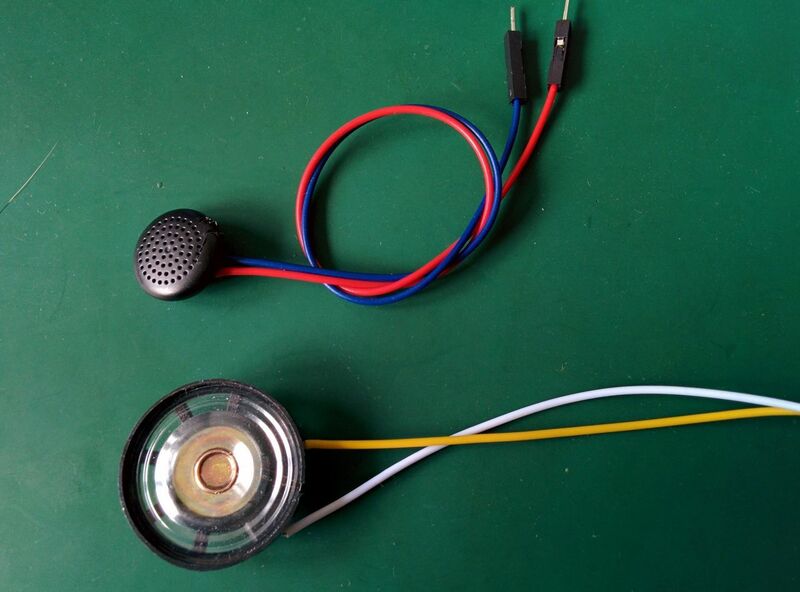 I bought a 8Ω / 0.5W speaker, hopping that it will work ! For my tests, I also used some old cheap earphones. 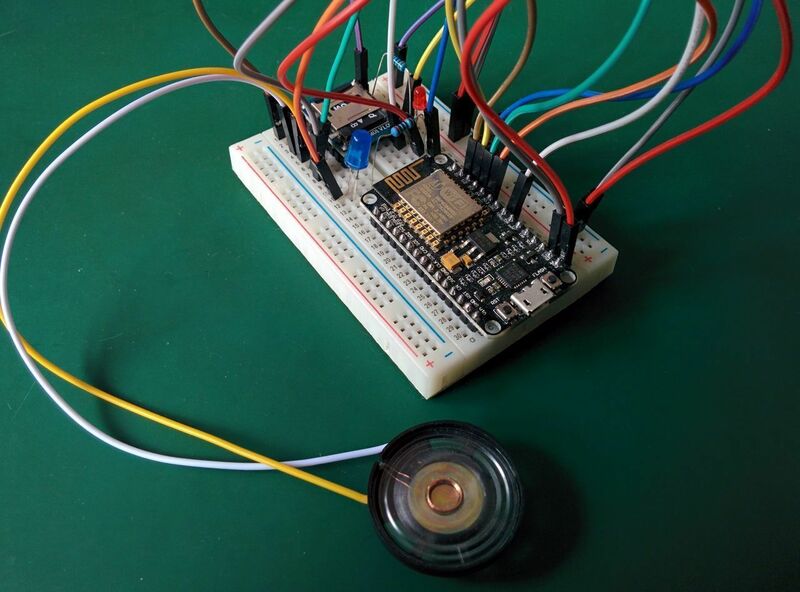 This circuit is made with the NodeMCU dev board. The "two line serial mode" allows to send some commands to the WTV020 (volume, play, pause, stop, music selection). As I said before, I want to pulse a LED as a Tardis reminder. For that, I used a PWM output of the ESP8266, and connect the LED through a resistor. This first circuit connects the NodeMCU devboard to the WTV020. This module have a pin dedicated to the busy output state (high = busy). As the datasheet suggests, I added a LED (3mm, red) to display the status of the module. Moreover, I read this state with an ESP input pin. A lot of schematics on the Internet turn on the LED for the "idle" state. I prefer light up the LED only on the "busy" state. Unlike the first test of the ESP8266, where I used NodeMCU, I wanted to try the Arduino framework for the ESP8266. I want to create a LED pulse without any call to the delay() function. The value of the LED to set with analogWrite() is function of the time (millis()). 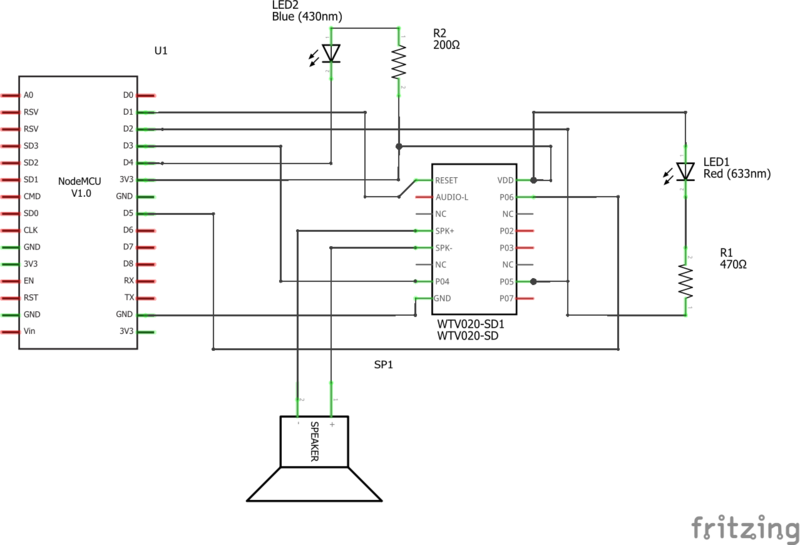 The best way to get the value to set on the PWM pin, is to use the sinus function (sin()). 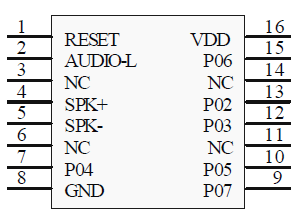 But the range of analogWrite() is between 0 and 255 for AVR, between 0 and 1024 for ESP8266. Moreover the pulse period must be around 5 seconds. For this project, I will use PlatformIO, which I discovered few days ago. But... The WTV020 freezes sometimes, and I don't know why. Now, I will try to use a standalone ESP8266, without the big NodeMCU board. It's time to build the connected Tardis! 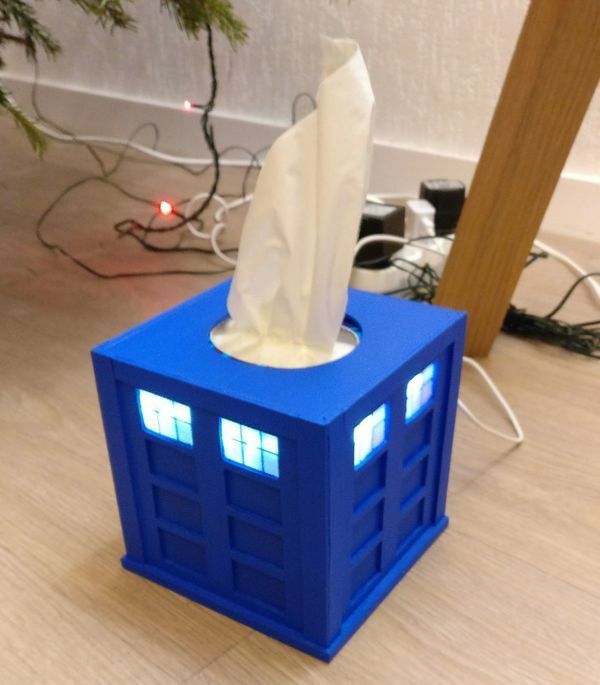 Sound, lights, and tissue box in one beautiful (?) object! The JDY-08 BLE module is cheap and not very well documented. It's mandatory to update it before unleashing it's power!